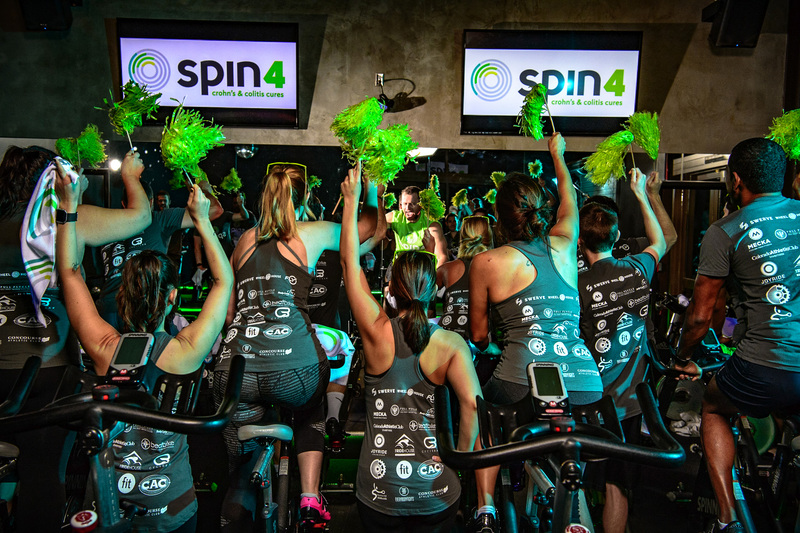 New York, NY – Today, the Crohn’s & Colitis Foundation launched its spin4 crohn’s & colitis cures indoor cycling event lineup for 2017 with a new program video. 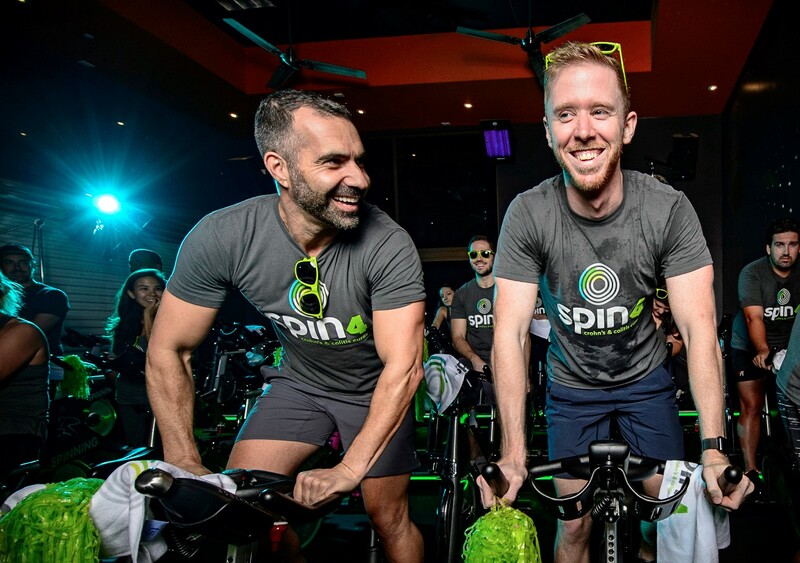 Registration is now open to pedal with purpose this fall in Atlanta, Boston, Chicago, Cincinnati, Dallas, Denver, Houston, Los Angeles, Long Island, New York City, Orange County, Philadelphia, Pittsburgh, San Diego, San Francisco, Seattle, Twin Cities, and Washington D.C.
spin4 crohn’s & colitis cures is an indoor, relay-style cycling event that generates awareness of Crohn’s disease and ulcerative colitis, and raises funds to support groundbreaking IBD research and patient services. 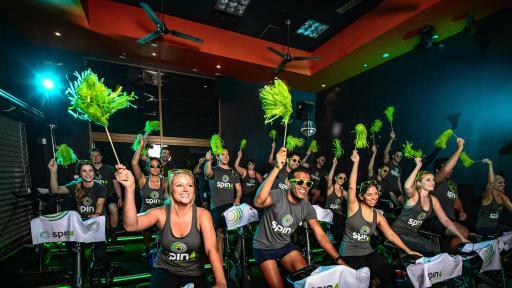 Come #partyonabike with us to cure IBD! 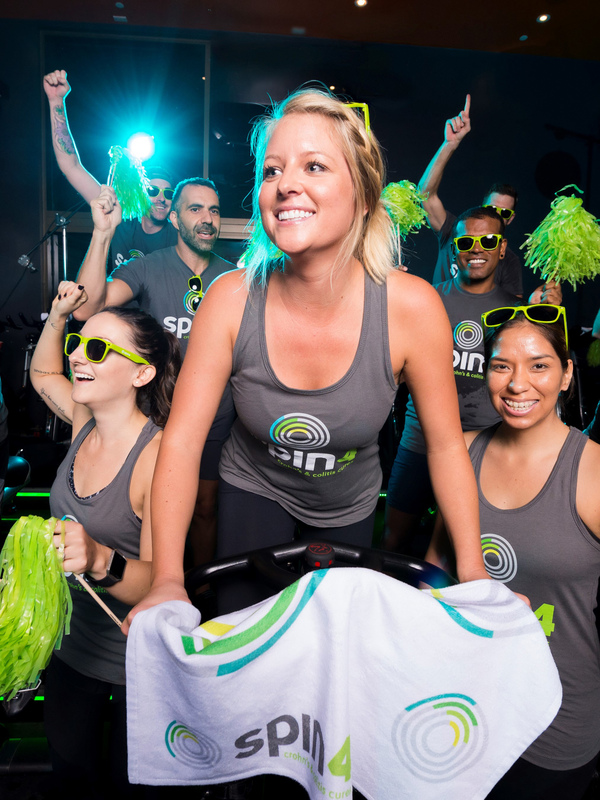 Teams of up to four people per bike participate in a two-hour cycling relay choreographed to high energy music. There is also the option for solo riders to take on the entire ride themselves. Each bike has a $1,000 fundraising commitment for the Crohn’s & Colitis Foundation. 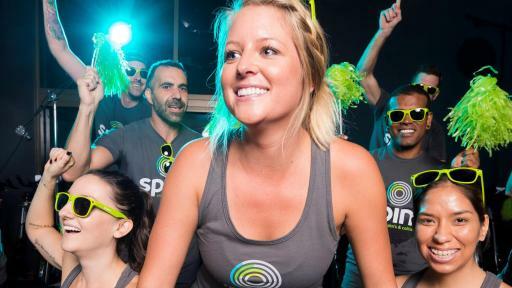 If you don’t live in a market with an event, there is also an option to Ride Where You Live. 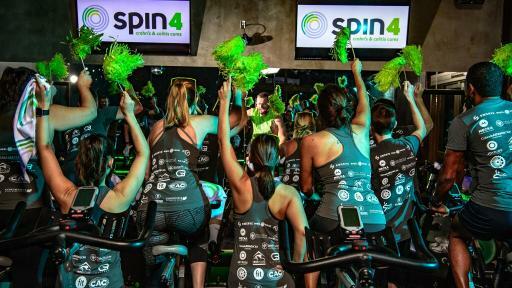 This gives supporters the opportunity to create a local event and raise funds to support the Foundation. Every rider will have access to professional fundraising support and resources as well as detailed information about the programs they are supporting and impact being made on lives of the 1.6 million Americans who live with these debilitating inflammatory bowel diseases (IBD). “The excitement and energy our riders bring to these events is an incredible display of support for the IBD community. 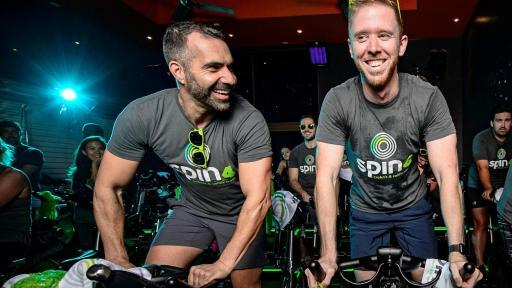 Many are riding for themselves or someone they love and it’s their passion that continues to inspire, encourage, and motivate us to grow this movement.” said Craig Comins, Vice President of the Foundation’s spin4 crohn’s & colitis cures program.